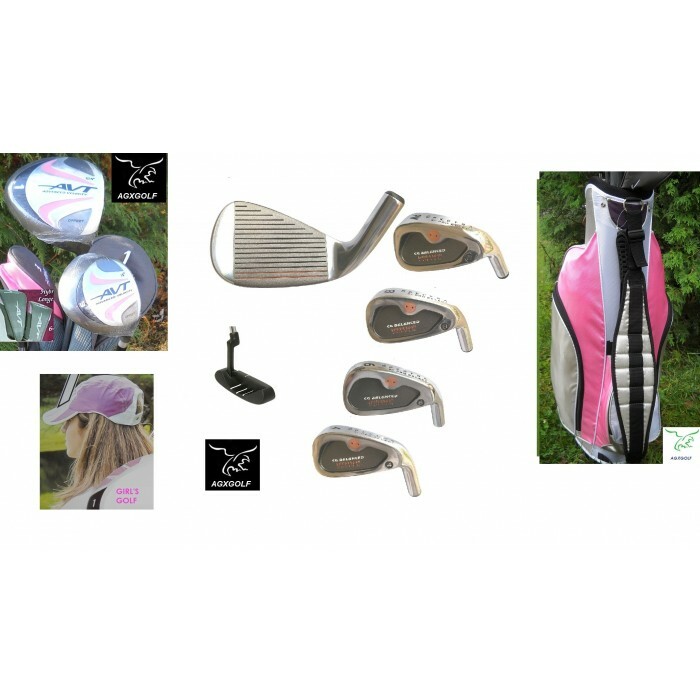 AGXGOLF: Orlimar "girl's AVT pink (just right)" girl's starter set (graphite shaft driver & 3 wood) with bag, putter and head covers for the driver and 3 wood; Callaway "Hawkeye" style irons! Driver: 460cc over sized forged 7075 square head for maximum distance and larger "sweet spot"
Free putter: these are an excellent design; the flange style head features a precision face with "heel-toe" weighting to help keep the putter head on line for more accurate putts. 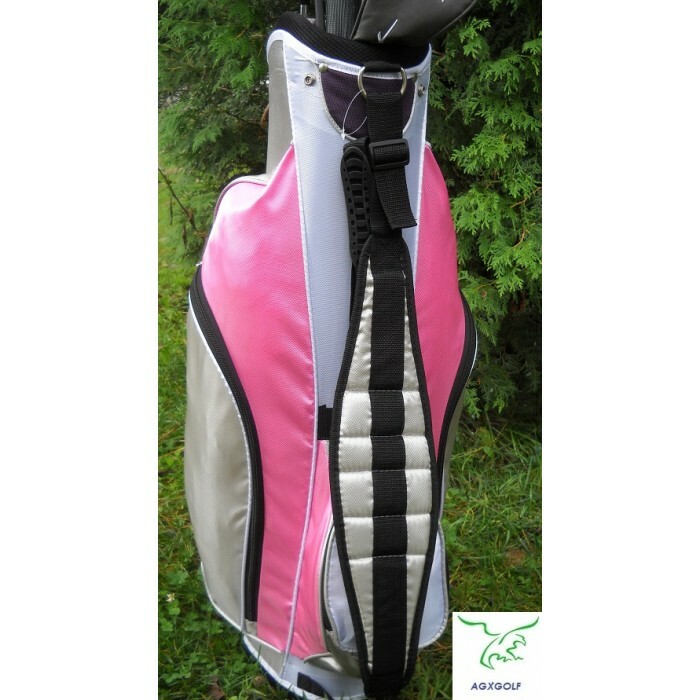 The same company that brings the Orlimar golf clubs to the PGA pro's has designed the "AVT girl's edition" for us..! ..a sponsor of breast cancer research! Only $4.50 shipping cost to anywhere in the contiguous u.s.a.....we ship most orders within 24 hours!!! ........yes this is a brand new set still in the factory box! 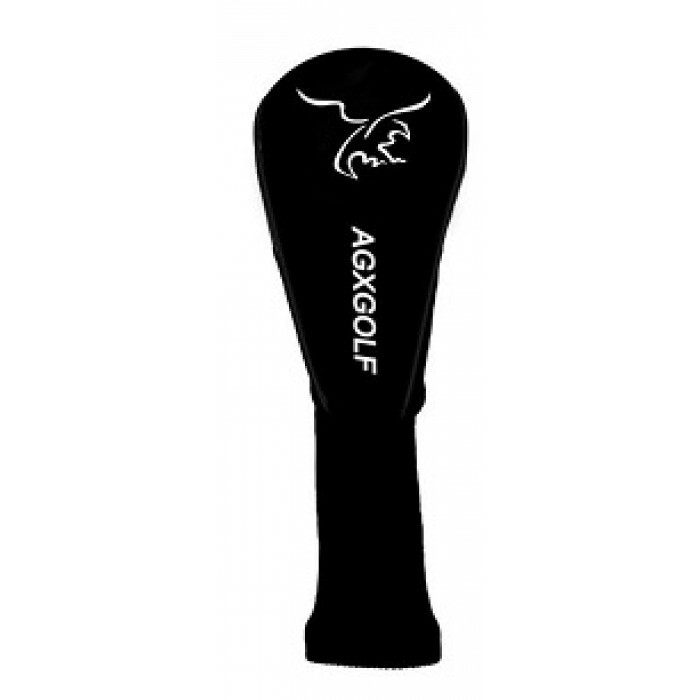 This set of golf clubs from agxgolf features a large over sized 460cc titanium matrix driver with a 12.5 degree loft to make it easy to get nice height on your drives the oversize head creates a 30% larger "sweet spot" and up to an extra 30 yards on every drive! The fairway wood features the "low profile" style of design with a low center of gravity to help you get nice lofted shots even off "tight" fairways and also out of the rough!!! The girl's spectra special edition irons are dual perimeter and sole weighted. Cavity back and "over sized" these irons are "inspired" by the Callaway Hawkeye style of design to help square the club up at impact for straighter more accurate shots and more "forgiveness" on those miss-hit shots! The special "copper insert sole weighting at the "sweet spot" produces a lower center of gravity that results in high "tour" style shots that land the ball softly on the green!! You will certainly admire the "tour" appearance, quality and extra durability of these mirror finish irons. 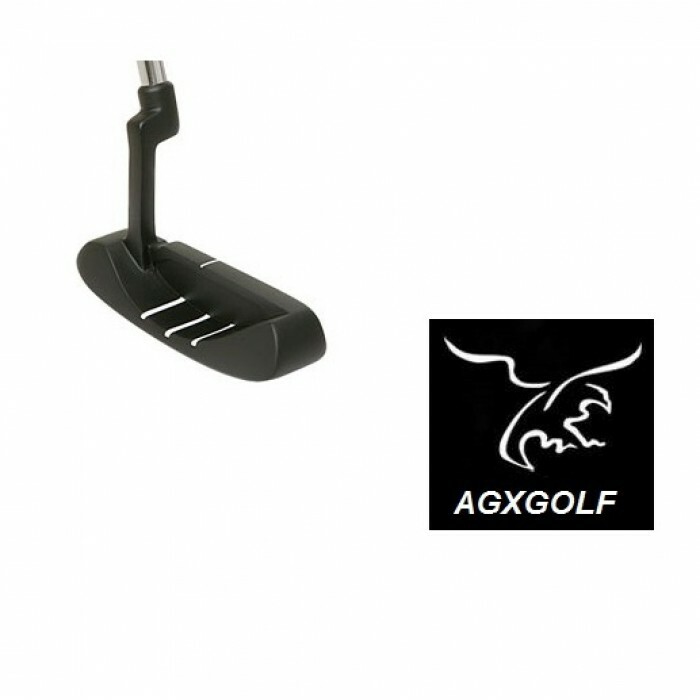 The "AVT" putter features "heel and toe" balancing and a precision face with a contoured grip for smoother, straighter precision strokes. Also important to note is the contoured grip that allows for a relaxed posture. This is important because a relaxed grip and posture means more consistent putting and lower scores!! All in all, a very elegant set of golf clubs!! These sets were tastefully designed with the young lady golfer in mind and with the latest technology. P.s. The graphite shaft driver has really given my tee shots the extra length that i needed." Designed and inspired by the latest technology the "AVT girl's edition" is a great set for the intermediate golfer as well as beginners. The oversize clubs are great confidence builders by providing excellent forgiveness on miss-hit shots. 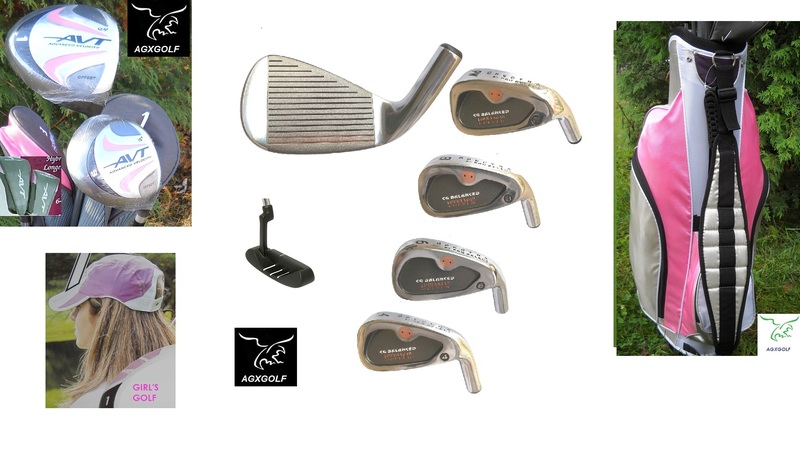 Quality and affordability also make these clubs a great value! We have excellent feedback for these sets. American Golf Exchange is headquartered in Highland Michigan! We know you you enjoy playing these fine golf clubs as much as we enjoy crafting them! And we guarantee that you will be satisfied! !